Another shot from Jellyfish Lake. This time with one of our very accommodating dive guides modeling. Shot with Olympus OMD EM5, 8mm Panasonic fisheye lens in Nauticam housing and mini dome port, no strobes. 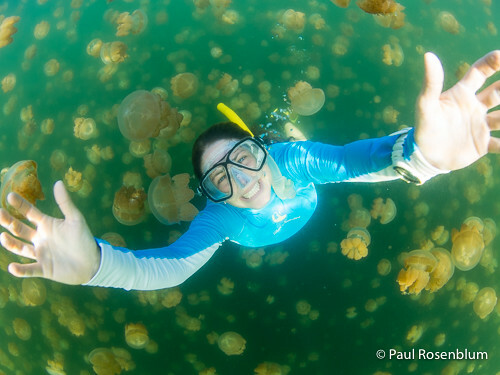 Jellyfish Lake is a marine lake on one of the Rock Islands of Palau. To get there, the boat drops you at the pier and you then hike over a hill to the lake. We went twice. The second time, early in the morning and it was very tranquil when we arrived. I’m not sure, but the lake seemed even saltier than the ocean. When you get to the dock in the lake after coming back down the hill, you put on your mask, fins and snorkel and jump in. At first, it’s just a green lake. No jellies. Then, as you swim toward the sunny side, you see one jelly. Then another. Then a few more. Then the density goes up fast. Until finally, you feel like you’re swimming in a thick jellyfish soup. The jellies keep swimming around, ensuring that they stay in the light. They do this so that the algae they’re carrying can photosynthesize for them. 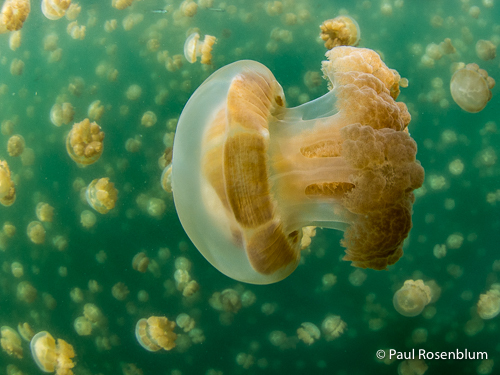 Over the long term, these jellies have lost their ability to sting and hunt. Instead, they’re solar energy farmers. 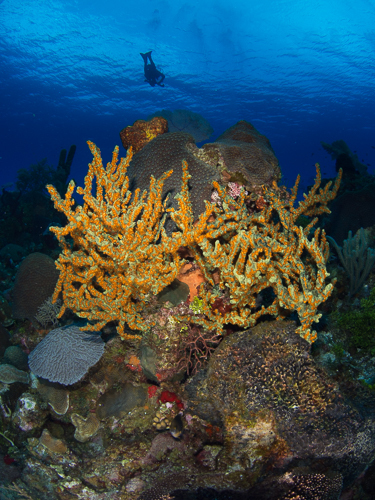 Alex has been trying to break me of the habit of shooting the dark green coral. Has he succeeded? In a word, no. When I saw this scene, I immediately stopped to shoot it. The good news is at least I’m better at lighting them now. Here’s the story. We’re on the boat enjoying a lovely surface interval between dives. Muffins, coffee, very delicious pineapple. (It is Maui after all.) Then it is time for the quick dive briefing before dive 2. What are we going to see on this dive and what are the hand signs for the critters? Well, maybe this, maybe that. 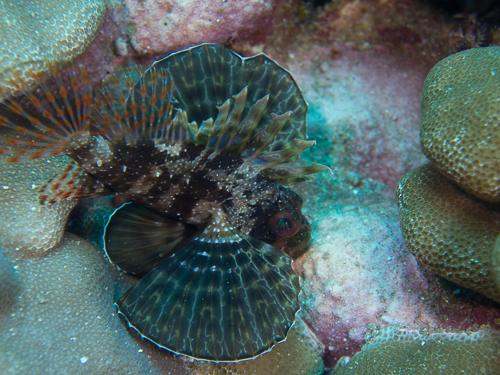 And maybe the endemic Hawaiian Green Scorpionfish. What’s the sign for that one? The dive guide says, well, it’s green and it has red eyes. Like maybe, you know, it’s been smoking something. So he pinches thumb and index finger to his mouth like he’s smoking. And sure enough, we saw one on the dive. 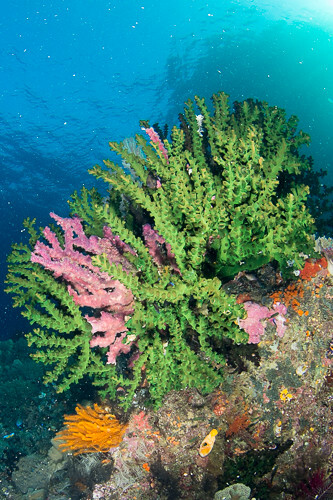 If you’ve been following along, you know that despite really good advice, I like photographing the green coral. Here, it was interspersed with some pink coral. And as we were in the tropics, it naturally made me think of Lilly Pulitzer. Oops, here’s one out of order. Before the diving started in Lembeh, I spent a few days in Singapore. 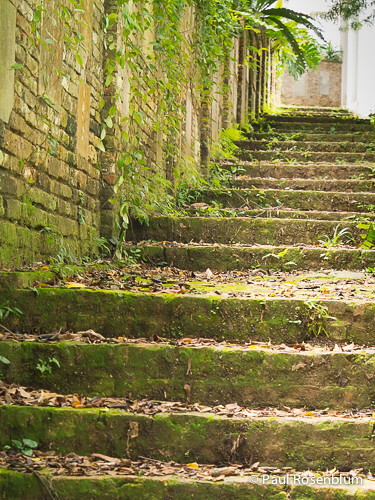 I liked these stairs at Fort Canning Park. A year ago I started my 365 project. For the last post and for New Year’s Eve, here’s something like fireworks. 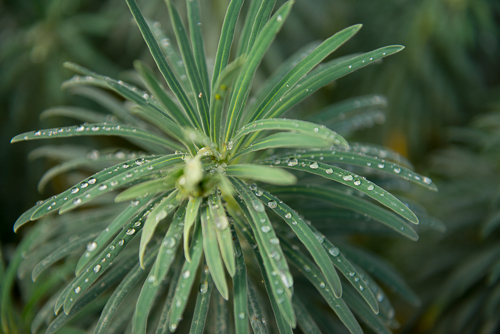 Ok, so it’s really a plant. And it’s wet. But reminds me of the big, graceful, bell shaped ones you see in the sky. Enjoy. Happy New Year. And see you in 2013. Right outside the gym I go to is a big open lot. With rabbits. And geese. Makes it a lot more fun to use the exercise equipment when you can have a little Wild Kingdom going on right outside. I tried to get a shot of the rabbits. Turns out they really are fast. And they don’t like to sit for portraits. And I’m not a great (ok, even good) wildlife photographer. But I did enjoy chasing them around the field. And how often do you get to see rabbits dance? 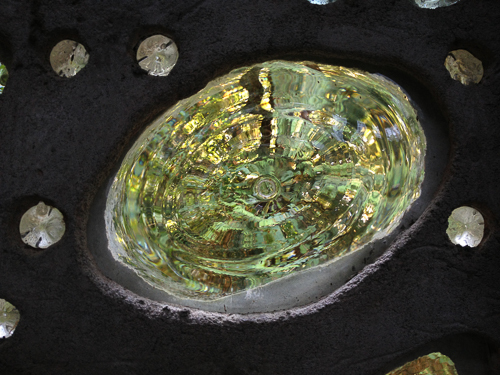 Looking out into the woods through a window in the “Trojan Horse” at the Pilchuck Glass School. Outside Seattle, of course.